A very popular option today is to subscribe to your feeds using a website service. This allows you to check what's new at anytime, anywhere. Feedbin is a straight-to-the-point feed reader with a clean three-column interface. Probably the most popular feed reader in the world, Feedly offers a in-depth array of features. 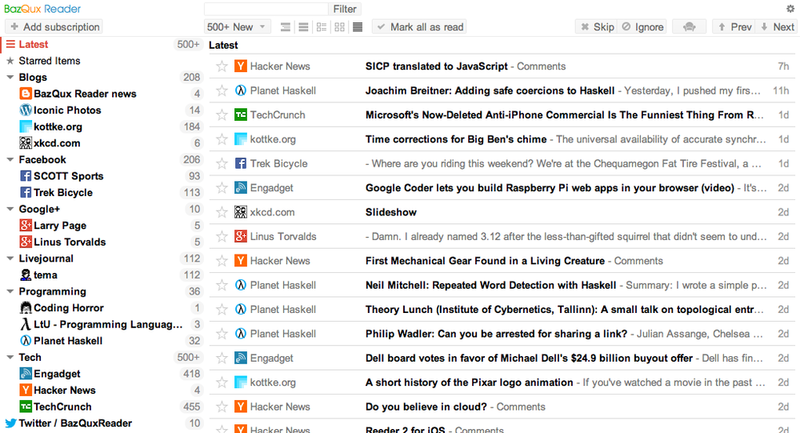 Inoreader bills itself as "The content reader for power users who want to save time." and its features and UI are designed around that. 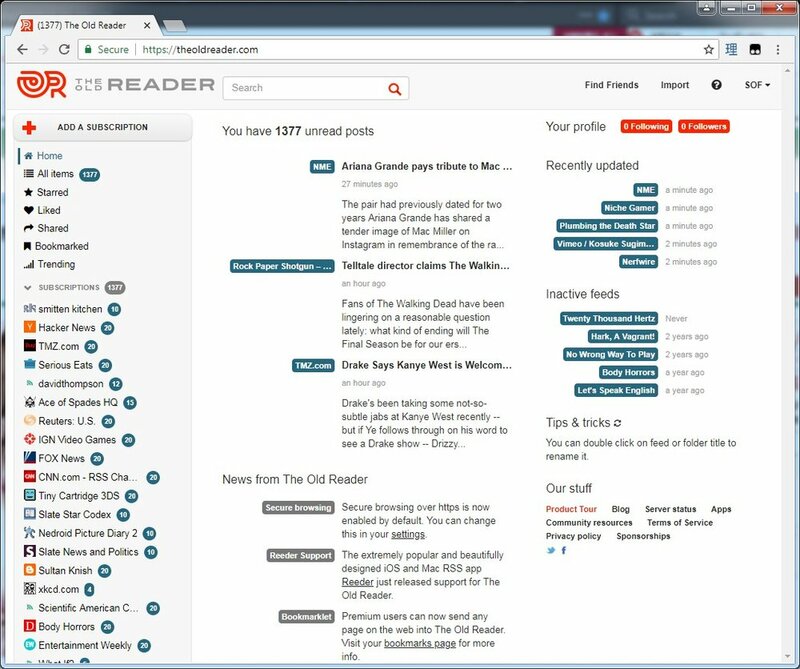 Designed initially to accomodate users from Google's old reader service, The Old Reader focuses on the same quick reading and sharing functionality that Google Reader had. 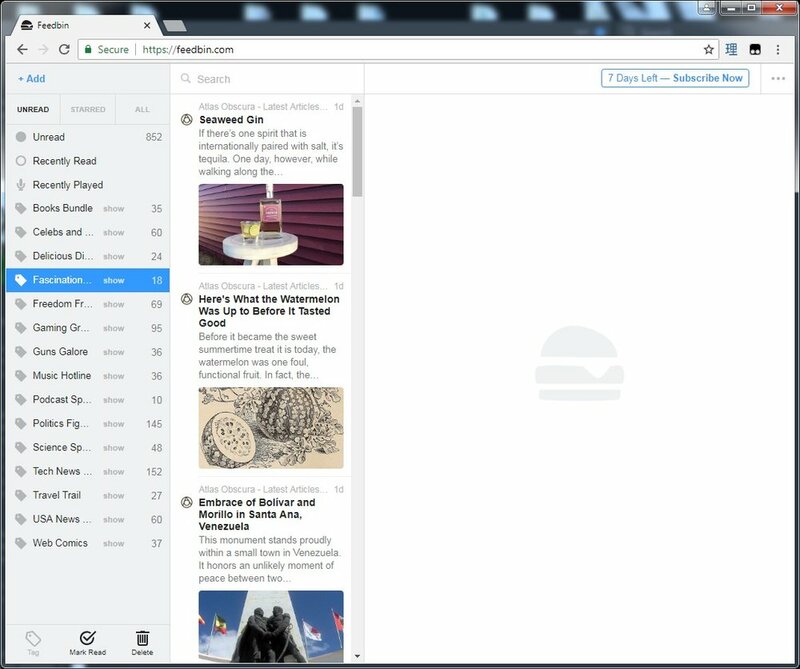 Newsblur is a feed reader with a variety of added social features, and a predictive filter for when you’re subscribed to many feeds at once. NewsBlur's training filters let you automatically hide stories you don't want to see and highlight the stories that interest you. Teaching NewsBlur your preferences for certain blogs, authors, and topics automates finding something interesting from your feeds. "BazQux Reader focuses on your effectivity. It works fast, has clean interface, supports reading of Twitter/FB/G+/Instagram/VK, extracts full text from truncated feeds, shows post comments, has many view modes including mixed one, has search and filters and many more features. It has wonderful mobile website where you can zoom as well. And it's paid only reader so there are no ads or tracking and it updates your feeds in time." $19 or $29 annually, or $149 for a lifetime subscription.